Qantas has confirmed it will not sell-off a portion of its highly lucrative Qantas Loyalty business even as it reports a multibillion dollar net loss in its 2013/2014 annual report. The Qantas Group reported an underlying loss before tax of $646 million and a net statutory loss after tax of $2.8 billion in the 12 months to 30 June, off the back of a $566m decline in revenue over the same period. Qantas CEO, Alan Joyce, described the results as both “unacceptable” and “confronting”, and blamed the cumulative effect of two years of market capacity growth outstripping demand, record high fuel costs of $4.5 billion (up $253m year-on-year), and weaker consumer confidence and demand for the poor results. The statutory result of $2.8bn encompasses costs associated with the $2bn Qantas Transformation program including redundancies and early aircraft retirement, and a $2.6bn non-cash write down of the international fleet following the group’s structural review. Qantas Loyalty was the shining star in the otherwise troubling financial statement. The customer loyalty program division reported underlying pre-text earnings of $286 million, up 10 per cent year-on-year, and its fifth consecutive year of double-digit growth. 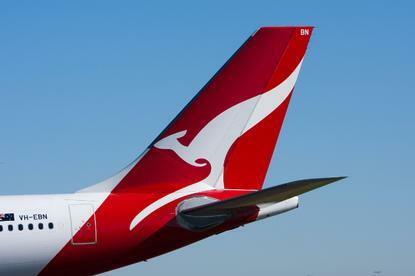 Rumours have circulated for months about a potential sale of Qantas Loyalty as a way of raising cash for the business. Various media reports have suggested the business could be worth $2.5bn to $3bn. In his presentation, Joyce confirmed the group had considered a partial sale of Qantas Loyalty but said the structural review, which commenced last December, found there was insufficient justification for a partial sale. “Due to the strong support of our customers and partners, Qantas Loyalty is a standout business, achieving a new record result for the year with double-digit growth,” Joyce said. “After careful consideration, our judgement was that Qantas Loyalty continued to offer major profitable growth opportunities and there was insufficient justification for a partial sale. The loyalty group attracted 720,000 new members over the past 12 months and now has 10.1 million members. Total billings reached $1.3 billion, and award redemptions lifted 11 per cent to 6.2 million. Qantas added 14 new program partners in the past year, as well as launched the Acquire loyalty program for SMEs, which has attracted 35,000 businesses to date. It also launched the Qantas Cash travel money card earlier this year. More than 300,000 Qantas Cash activations had occurred by 30 June, and $500m in cash loaded onto the card. In August, Qantas unveiled the new Qantaspoints.com ecommerce portal as a new way for Frequent Flyer and Acquire members to spend their points. A Qantas Golf Club is also due to launch towards the end of the year. According to its financial report, new ‘earn’ drove member interaction over the past 12 months, across everyday transaction accounts, mortgages, whole-of-bank suites, restaurants, cruises, parking, health insurance and energy. Across the wider business, Qantas reported customer satisfaction was at an all-time high over the financial year and that customer advocacy was at a record level. Key investments over the past 12 months helping to keep customers engaged included new lounges in Singapore, Hong Kong and Los Angeles, and new and expanded codeshare agreements. Joyce said better in-flight entertainment, cabin upgrades and staff investments in customer service would help keep the customer satisfaction levels up over the next year.